The Samsung Galaxy S4 was finally formally introduced in New York last week and has met with universal acclaim apart from one small factor. Although everybody, including consumers and tech experts, seems to approve wholeheartedly of the high-end specs and also the amazing new software features of the phone, the only criticism leveled at the phone so far concerns the design and build quality and it looks as though this could lose Samsung a few sales. This is all very reminiscent of last year when the Galaxy S3 was unveiled. The phone received a lot of praise all round except for some who were not too thrilled by the plastic, cheap feel and rather boring design. It doesn’t look as though Samsung learned from this though as hardly any effort has been made to change it and let’s face it the Galaxy S3 still sold in phenomenal numbers and the Galaxy S4 will too. Still, it seems a shame that Samsung couldn’t have come up with something with a more premium look and feel to it. Before all of you Galaxy S fans jump on us and say we’re anti-Android and anti-Samsung that couldn’t be further from the truth. We’ve already stressed that this is a most impressive phone as far as specs and features go and it will be difficult for any other smartphone this year to match its impact. However the design does leave us wanting more. The day after the official introduction of the Samsung Galaxy S4 we gave our readers a comprehensive comparison of the HTC One vs. Galaxy S4 and asked for your choice of winner. The HTC One is another phone that we’ve been really impressed with but we weren’t quite prepared at how many more people said that they would choose the HTC One over the Galaxy S4. We had plenty of comments on this article and the overwhelming majority voted for the HTC One. What became even more apparent was that this seemed to be mainly because of its aluminum body and premium design and feel. Most of the people who said they wouldn’t purchase the Galaxy S4 said it was because of the plastic build and cheap look of the phone. While we expected this might be a criticism, even we were surprised at just how many people mentioned this. BGR also had criticism for the low-end design. Although they called the device “incredible” they also said they wished the notable hardware and software came in a premium package but that the Galaxy S4 felt more like a toy. They commented on the light weight of the phone and noted it felt as though it could be snapped in half, something not evident with the iPhone 5 although this is even lighter. As we said previously, none of this dissatisfaction about the design and build of the Galaxy S4 will stop it from being a huge seller, possibly the biggest of the year. There will be plenty of people unconcerned about the design and feel or who actually like it. However, it is clear that there are others who will give the Galaxy S4 a miss solely because it lacks the premium look and feel of a high-end package. We’ll never know how many sales of the Galaxy S4 Samsung lose out on because of this but we’d sure be interested to know. We’d like your thoughts on the Galaxy S4, as we’re always interested in hearing what our readers have to say. 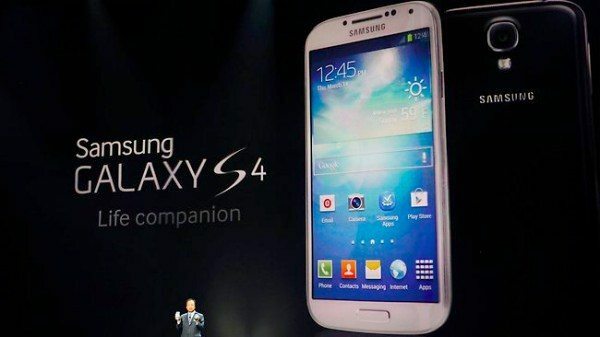 Will you be purchasing the Galaxy S4 and if so is that because you like the design or despite the design? Has the cheap look and feel of the phone been enough to put you off purchasing it? Let us know with your comments. Rightly so. The plastic design, for me, is unacceptable. I could not go from my Lumia 900 to a Galaxy phone without destroying it or having to put a case on it. The HTC One however…that’s a different story: Beautiful phone. I’m planning on purchasing a S4 but i’m very disapointed in phone material. I was hoping for a metal or even a carbon fiber build but they let us down. I love the guts of android and especially samsung phones but iphone sure can build a beautiful phone. Planning to buy the plastic is fine with me because I use a case on my phones. I owned the HTC Evo and probably would have stayed with HTC brand but they lost me with the fixed battery. If it is between build quality and removable battery,for me the battery is more useful. Just get otter box case. The specs are all fine, but the features on it are hardly innovative. I wouldn’t go and spend thousands on a phone that looks and feels so cheap and with features that hardly matter to me. The Sam boys should seriously look into the design and materials they use for their phones. HTC, Apple and Nokia are too ahead in terms of design and build quality. Nowadays, the only company I compare Samsung with is Micromax. Even Karbonn has a better build quality than Samsung. mine also goes in a case. so build it out of cardboard. Just have the newest engine and programs. There’s no reason to be excited by any Android until Key Lime Pie comes out. Given that Samsung does so much to cram Android into the background, I doubt S4 owners will get an upgrade for months. Probably October, at best — if at all (as Android seems to have become a low priority for Samsung). So it will have Jelly Bean well after the that version has a birthday. With Tegra 4 on the way, this phone has maybe three months of relevance, perhaps less. All of that makes me think Samsung has bigger plans this year for the Note 3, or that GS3 sales are still a big priority. It felt like Samsung was leaning toward making the Note II its flagship device last year, rather than its flagship for the phablet category. As people get used to these huge phones, qualifying them becomes less of a priority. I look for Note 3 to be the beefy, premium device for which everyone is looking. That said, I’m a Nexus 4 owner holding out for X Phone. I’d just ROM a GS 4 or Note 3 to run stock Android, anyway. Might as well save myself the hassle. If the S4 is otherwise technically superb I for one can live with the plastic and build. No problem at all and maybe an advantage weight wise. See the vast majority of critics seem to forget that just about everybody these days puts their phone in one kind of a case or another anyway. I prefer Roots rubber armour on my iPhone. I need it to stay put on any surface and survive the odd nasty fall. I have forgotten what my iPhone actually looks like out of the case. How many people don’t put their phone in a case? And so, with that said and the multitude of cases available, what’s the issue? XPERIA Z all the way! This phone has copied features from every other handsets, Knox from Blackberry, Dual-Shot- Nokia’s, Sound and Shot- HTC’s Zoe, Drama Shot â€“ HTC and Sony, Hover Touch -Sony Xperia series, the add-on game dock â€“ originally Sony and Appleâ€™s. Entertainment Hub â€“ HTC, Sony. Cheaply and massively – being using the same material since S2- produced case is not good enough, the touch and feel is shite.